For one reason or another, people tend to have a fascination with giant holes. Whether they are human-made or have mysterious origins, it’s quite okay to have such a keen interest in gigantic holes. There’s no telling what could be going on at the bottom, what type of creatures lurk in their shadows and how some of them even came about in the first place. With great pleasure, we bring you the deepest, scariest, and most intriguing openings this world has. You can find Monticello Dam in Napa County, California. Construction started in 1953 and ended in 1957. 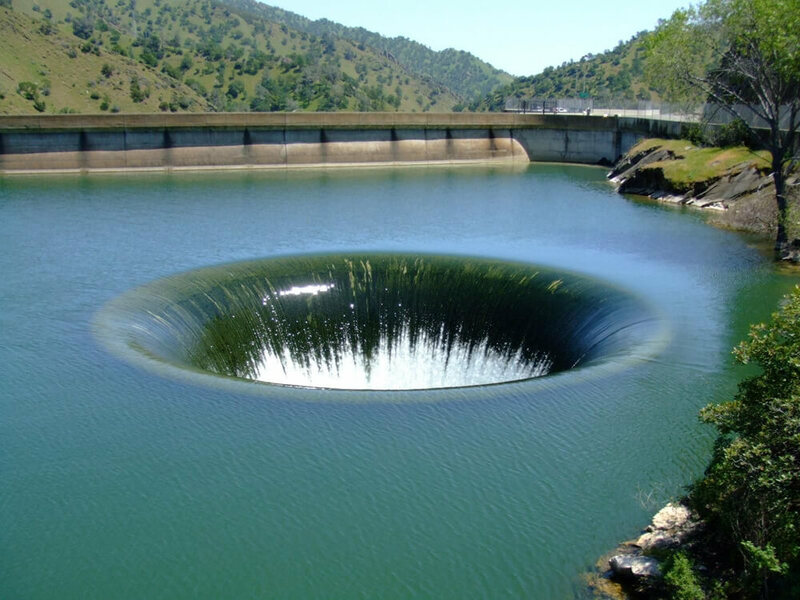 This is a human-made hole and it’s used when the reservoir reaches full capacity. The reservoir provides water to San Francisco’s North Bay area. The hole itself can take in 48,000 cubic feet of water per second! That doesn’t sound like anything anybody should be swimming in. A woman drowned after she was sucked into the spillway back in 1997 and they banned swimming in it ever since. This incredible image is taken of the Darvaza Gas Crater is in Derweze, Turkmenistan. 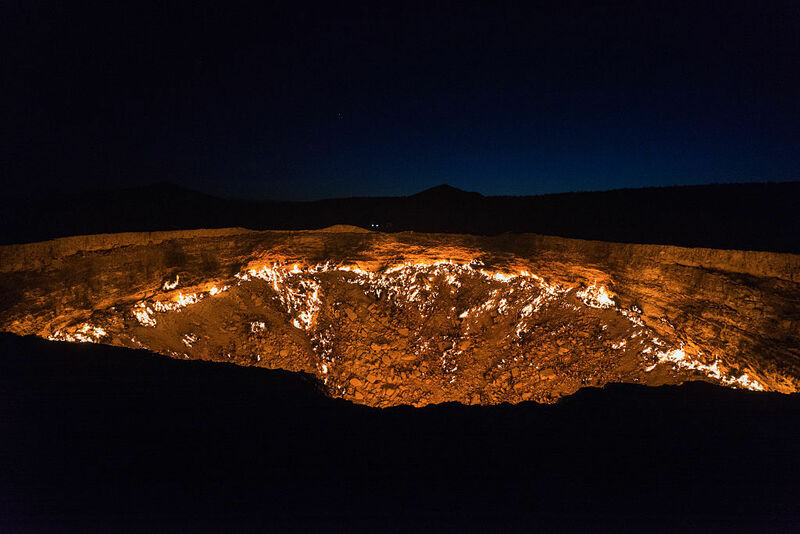 Its proper name is the Darvaza Gas Crater, but many call it the “Door to Hell.” This is the only hole on fire and continues to burn more than four decades later. That’s right, the Soviet scientists allegedly hit gas during a drilling accident, which set the hole on fire and the result has yet to be extinguished. Darvaza Gas Crater is 225 feet wide and 99 feet deep. You can see the glow it emits from a mile away. 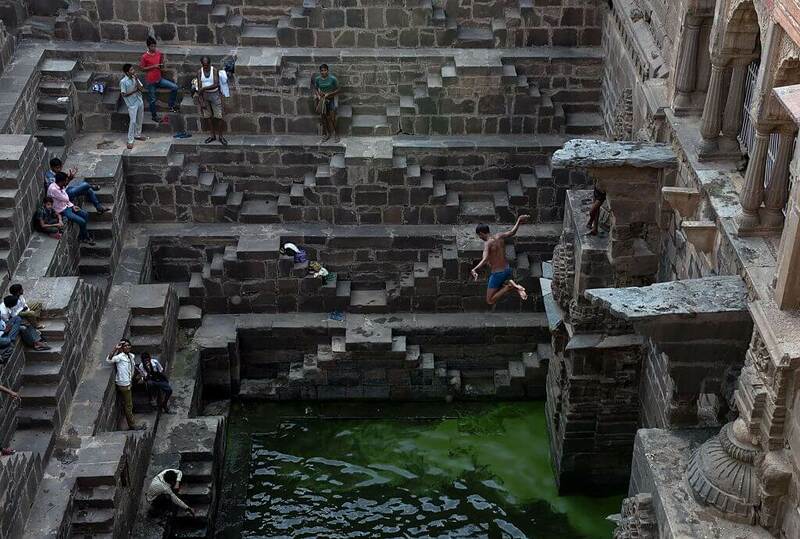 The Chand Baori Well found in India is an excellent example of how great architecture was even in the past. This well came about during the 9th century and was a reliable water solution that lasted throughout the year. The now-famous well is more than 98 feet deep, has 13 floors and 3,500 steps. The most exciting part about it is that there are no handrails and a 100-foot plunge to the water. We imagine Michael Phelps and any other water lovers would appreciate diving into it. On Sunday, May 30, 2010, citizens of Guatemala experienced something they could have never prepared for even if they tried. The ground collapsed and created one gigantic sinkhole. Dozens of homes fell along with it, and three people died. The hole was about 65-feet wide and 300-feet deep. Experts blamed floodwaters from tropical storms, but nasty old pipes could have very well been responsible for this monstrosity. It caused concern for more holes to form, thanks to the city resting on a pumice fill. Once you learn this fill is made by ash flows resulting from ancient volcanic eruptions, you probably wouldn’t want to set foot near it. This hole is relatively new since it opened in 2003. It’s also one of the deepest human-made ones reaching depths of more than 600 feet. Its location is the Canadian Arctic on the East Island in Lac de Gras not too far from Yellowknife. The shaft is used to secure diamonds and is the largest one concerning carat production. In 2015, the mine gathered a 187.7-carat rough diamond that is believed to be the largest ever found in Canada. It’s not often that giant holes are a prominent tourist attraction, but for the Great Blue Hole in Belize, that’s not the case. This underwater sinkhole is off the coast and stretches 984-feet across and is nearly 450-feet deep. Scuba divers adore this nature gem as they all marvel at its crystal clear water and different species of sea life. The Great Blue Hole became famous after Jacques Cousteau mentioned it was one of the greatest places to dive in the world. The Big Hole is also known as Kimberly Mine and started as a hill. 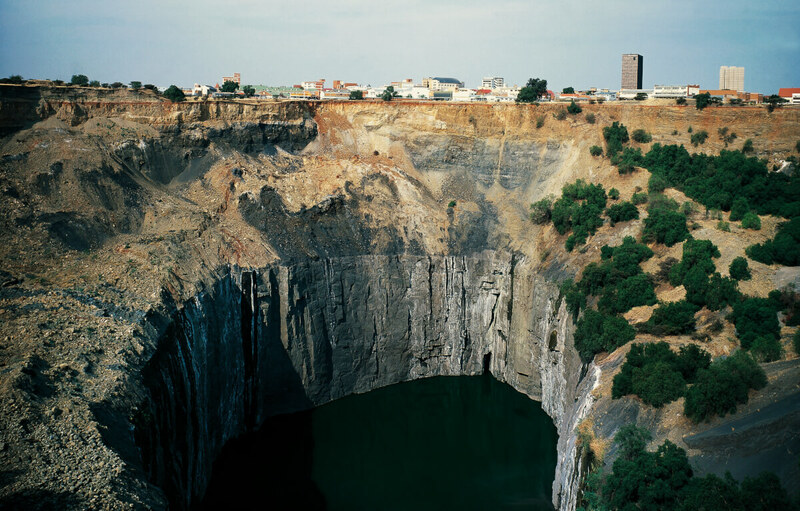 It slowly became the deepest human-made hole in the world. More than 50,000 miners axed their way into the soil starting in 1866 and it sunk more than 700 feet. By 1914 it stretched to over the size of eight football fields. The amazing part is that more than 6,000 pounds of diamond came from what is still a strong tourist attraction. This hole you’re looking at right now is 11 feet deep. 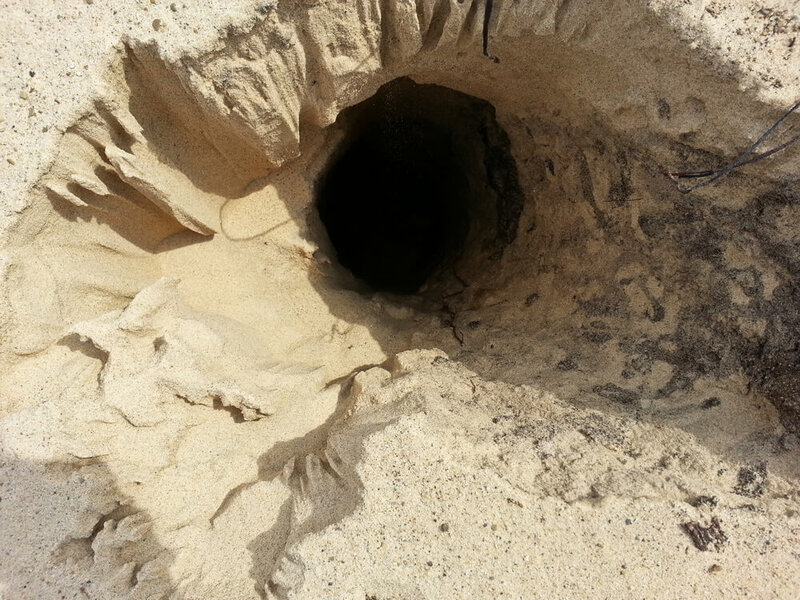 In 2013, a young boy got trapped in it when the hole swallowed him. Thankfully, rescuers recovered him after three hours. 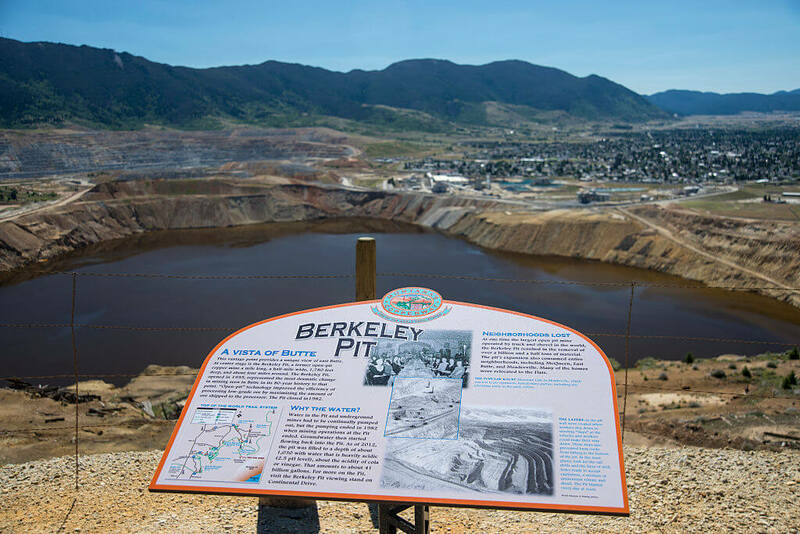 The Berkeley Pit located in Montana opened in 1955. The primary use for it was to mine for copper. The depth grew to around 1,700 feet before it closed in 1982. Ever since it shut down, the pit became filled with over 900 feet of groundwater and rainwater. When you mix in the chemicals from the former mining operation, that water has become highly acidic. In fact, a 342-bird flock of snow geese died in there, which raised awareness of its danger. 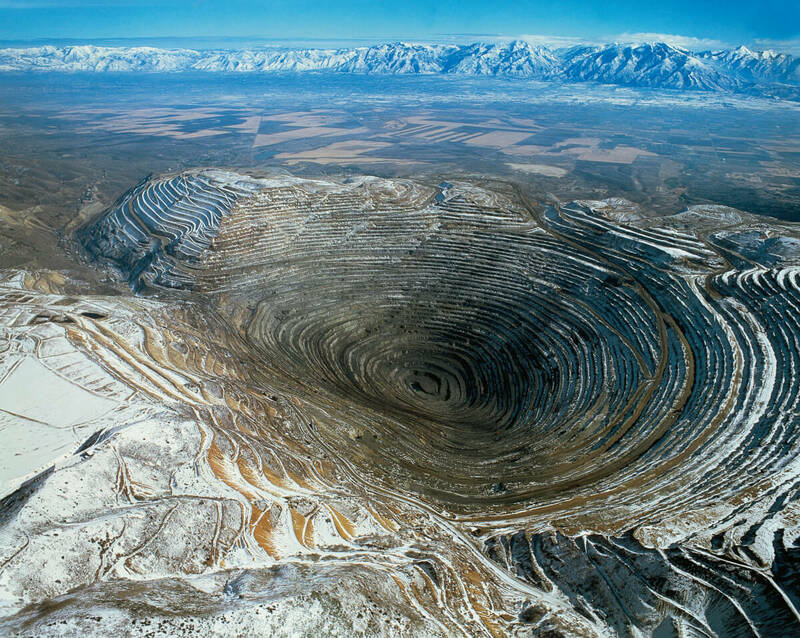 The Bingham Canton Mine found in Utah is the world’s largest copper mine. It’s over 100 years old and has a 2.5-mile wide pit in the Oquirrh Mountains. It is considered the largest human-made excavation thanks to it reaching 0.75 miles deep and expanding over 1,900 acres. If you’re wondering where we source a good portion of our copper, wonder no longer. An incredible 17 million tons of copper are sourced right here! On top of that, 23 million ounces of gold and 190 million ounces of silver also originated from this mine. With a name like The Devil’s Sinkhole, we’d assume this isn’t the place to play around. 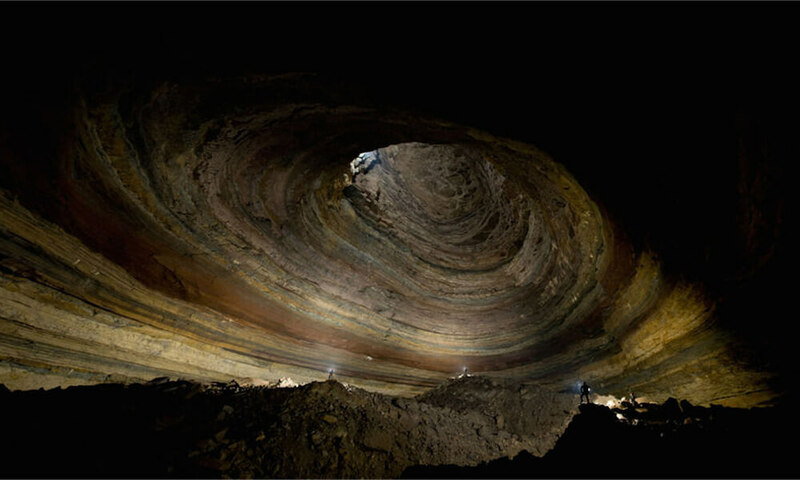 Its measurements are 50-feet wide, and if you slip in, you’ll be falling for about 350-feet into a cave. Inside the cave live Mexican free-tailed bats. As we suspected, visits to this hole are forbidden. Why do you think they call it what it is? However, tourists can come and see the giant swarm of bats that surround it- if you’re into that. 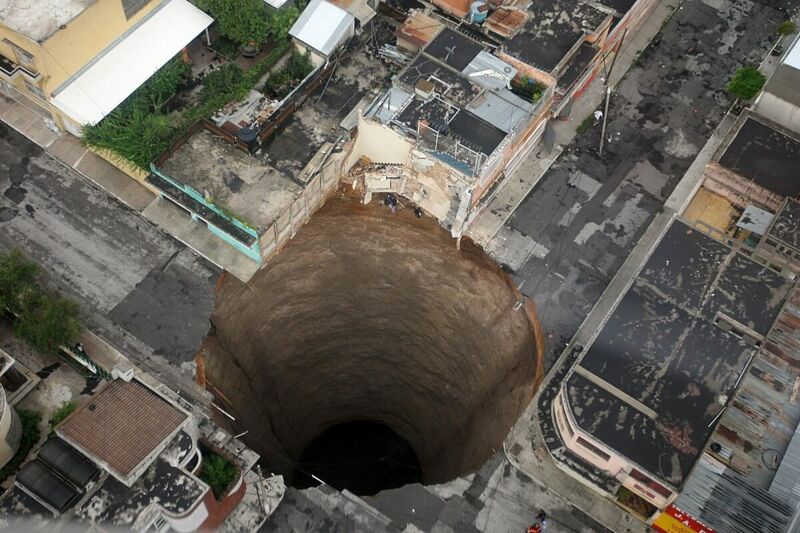 If you thought the sinkhole in Guatemala City was massive, you don’t know the true potential of these holes yet. 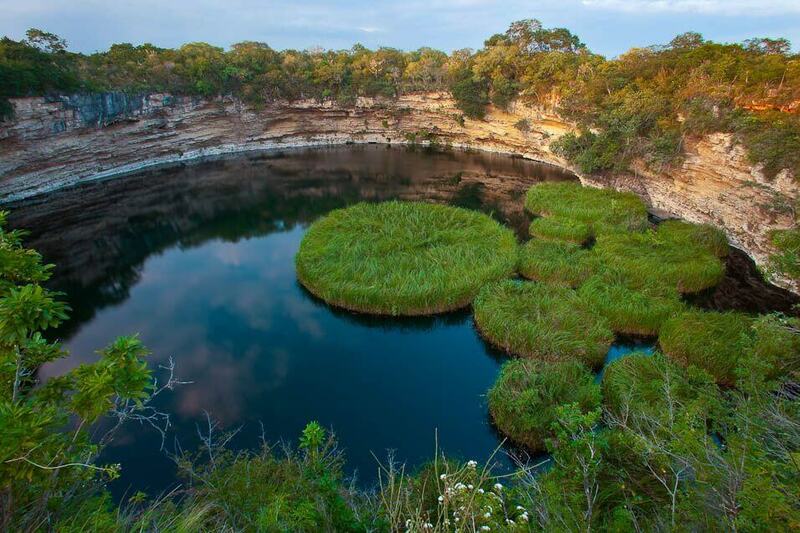 This hole in Mexico called El Zacatón is the largest sinkhole in the world. NASA scientists have even explored it using a robotic submarine. It’s close to 1,000 feet deep and is a diver’s worst nightmare. One person passed away while attempting to make it to the bottom. Also, no one has ever even reached the floor of it. Scientists believe the geothermal vents in it make it similar to habitats on Jupiter’s moon Europa. 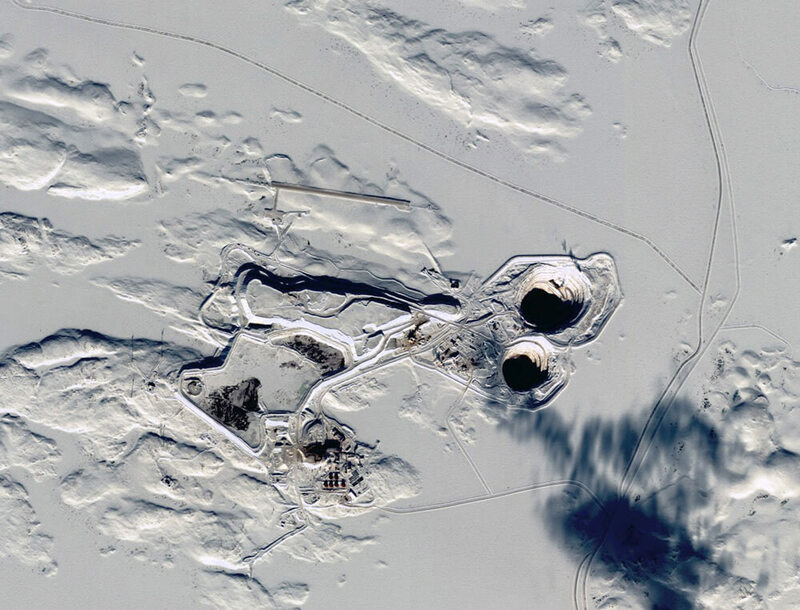 The Mirny Mine is the first and one of the largest diamond mines located in the USSR. However, the diamond mine is no longer in use. 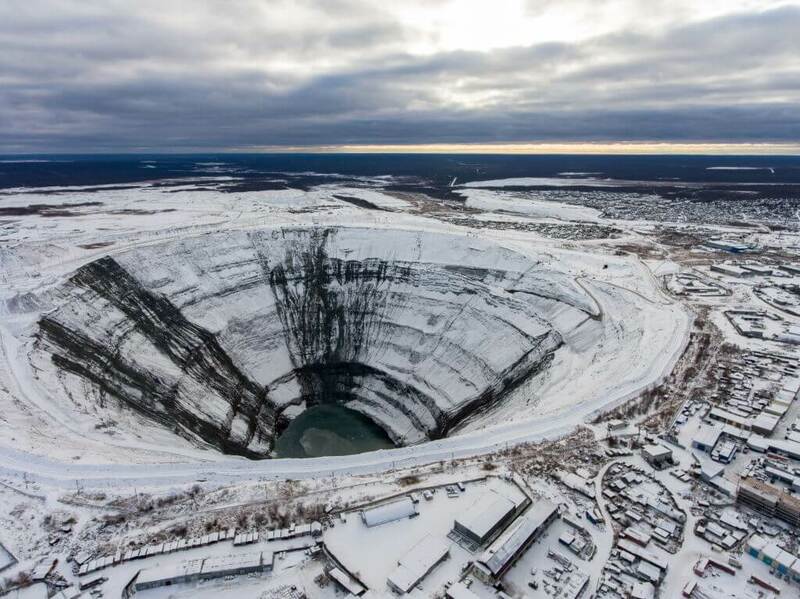 It’s located in Eastern Siberia and runs about 3,900 feet in diameter and 1,722 feet deep. Due to its massive size, it earned the nickname of “Navel of the Earth” and it’s the second largest excavated hole on Earth. You can’t fly over it due to reports of helicopters getting sucked in. Since 1910, the Chuquicamata Copper Mine provides the world with the most copper. 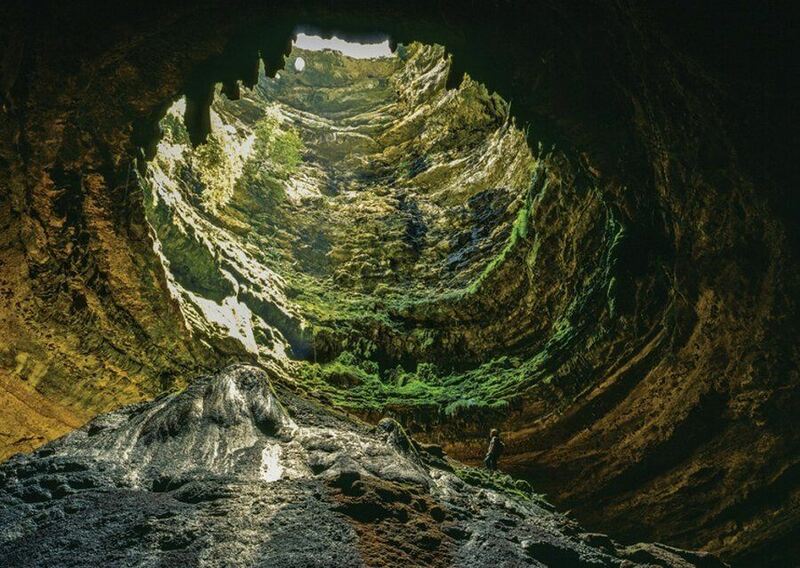 You can find this great hole just north of Santiago, Chile and is more than 2,788 feet deep. It makes sense why it gives us the most copper. 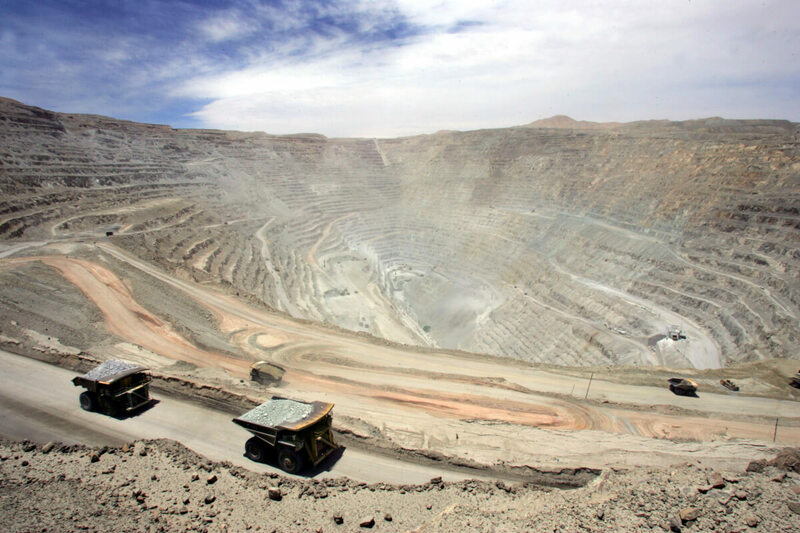 Codelco owns this pit and plans on making the shaft deeper by nearly 2,582. They want to build an underground mine beneath the current open pit mine. It makes you wonder just how much copper do they want to get? The Giant Blue Hole might be the best blue hole to dive- according to pretty much everyone who has- but that doesn’t mean it’s the deepest or even the most beautiful. In our humble opinion, Dean’s Blue Hole in Long Island, Bahamas takes that prize. 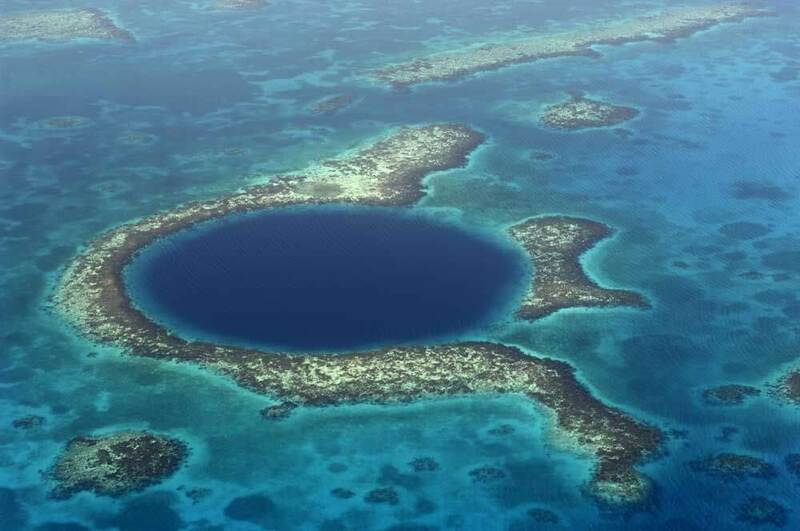 It’s statistically speaking the deepest blue hole in the world coming in at 660 feet deep. Any hole in the ground where you can find the entrance below the surface is considered a blue hole. 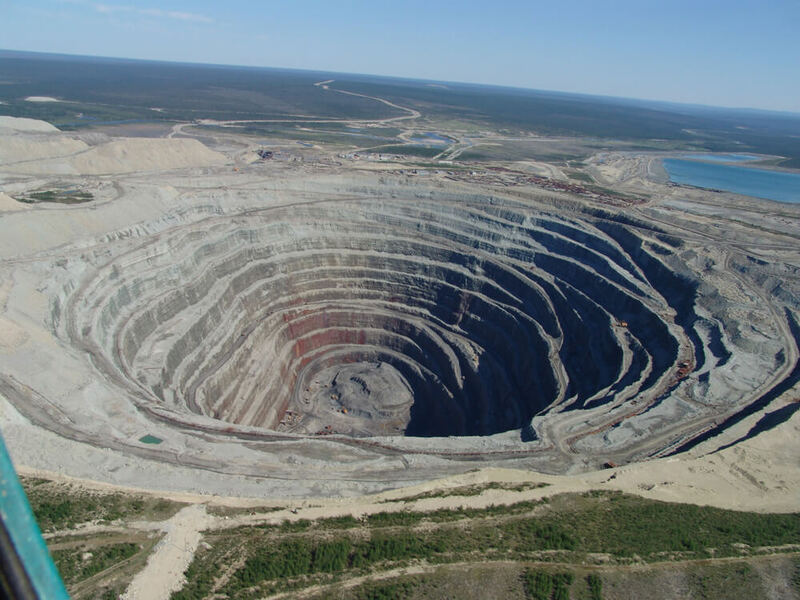 A Russian diamond company by the name of Alrosa owns the Udachnaya Pipe mine found in Russia. The Udachnaya Pipe mine opened in 1955, and the last blasting took place in 2015 when Alrosa chose to switch to underground mining. The surface area and depth of Udachnaya Pipe mine is fantastic. Stretching about 5,249 by 6,561 feet and running 2,099 feet deep, you wouldn’t want to get caught in there with no way out. Also, $80 billion worth of rough diamond has come from it. Krubera Voronya is a cave and a hole. It also happens to be the deepest cave known to man. Located in Caucus Country, Georgia, some people travel 6,000 feet below the surface during expeditions. That’s a pretty deep expedition. You can imagine that this cave has all types of different wildlife. In fact, it hosts some of the most diverse creatures found in the world. The most surprising thing is that there are parts of the cave that haven’t been discovered. While some holes are not considered dangerous, others very much are. For instance, the beautiful blue sinkholes we saw earlier are as gorgeous as they come and adored by many. Meanwhile, you have others that are deadly. 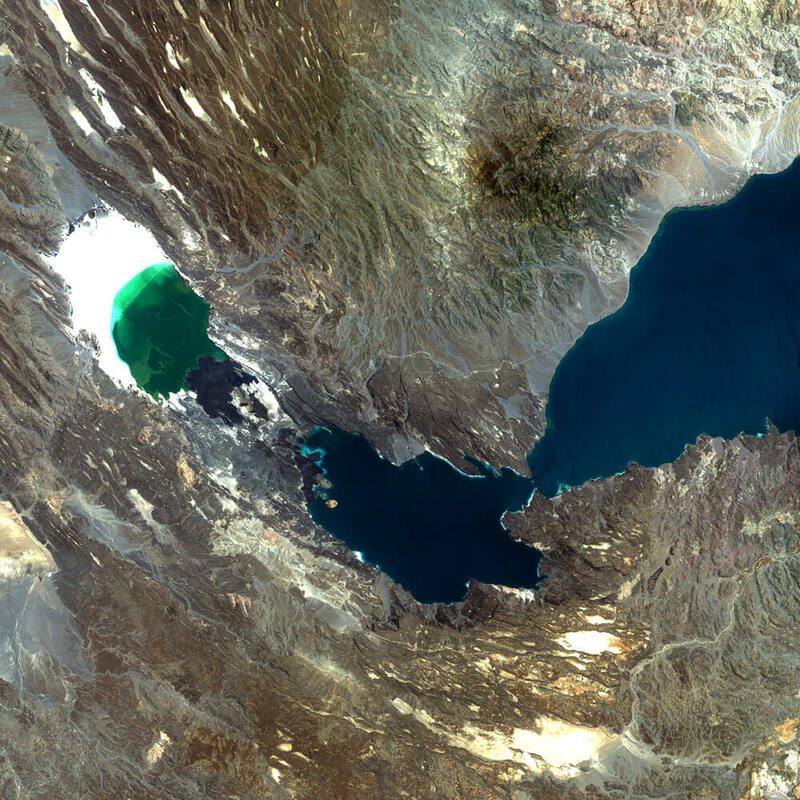 The small African nation called Djibouti is home to the lowest point in all of Africa. It’s a salt lake 515 feet below sea level. This lake is used as a salt quarry and is too dangerous to swim in. The University of Wisconsin really wanted to know what was below the ice in the South Pole. 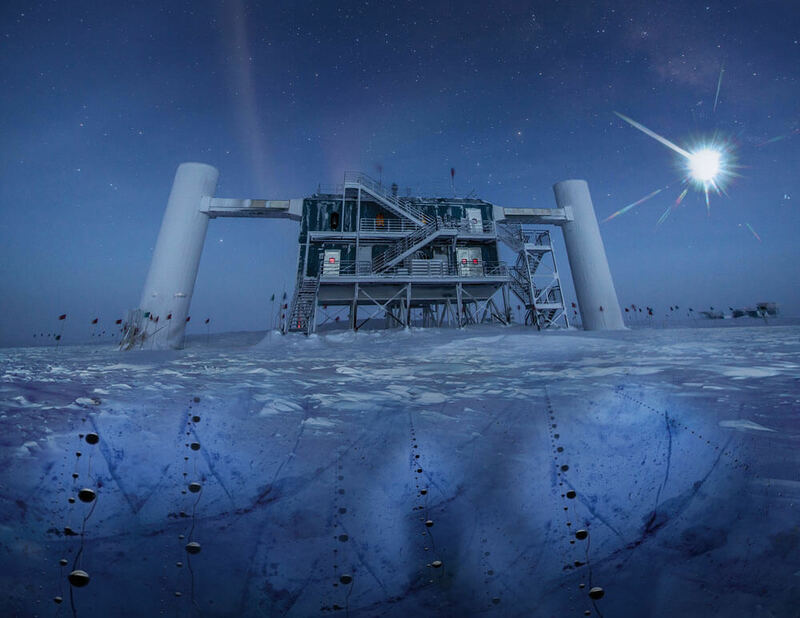 The Amundsen-Scott South Pole station in Antartica has 86 cables that go beneath the ice, relaying data to the surface. The crazy thing is that the surface is a long ways away. The cables start at 4,750 and go about 8,000 feet which is 1.5 miles. The drilling took about seven years with a 25,000-pound hot water hose.